In order for organizations to provide timely, meaningful, and engaging education, leaders are turning to Learning Management Systems (LMS) that create an interactive learning space for members. Implementing an LMS can seem like a daunting and insurmountable task, but in truth, if you prepare and plan appropriately much of the heavy lifting can be minimized. Be thoughtful, involve the right players, and set the stage for a seamless implementation. Here are three simple steps to help you create and carry-out a successful LMS implementation plan. 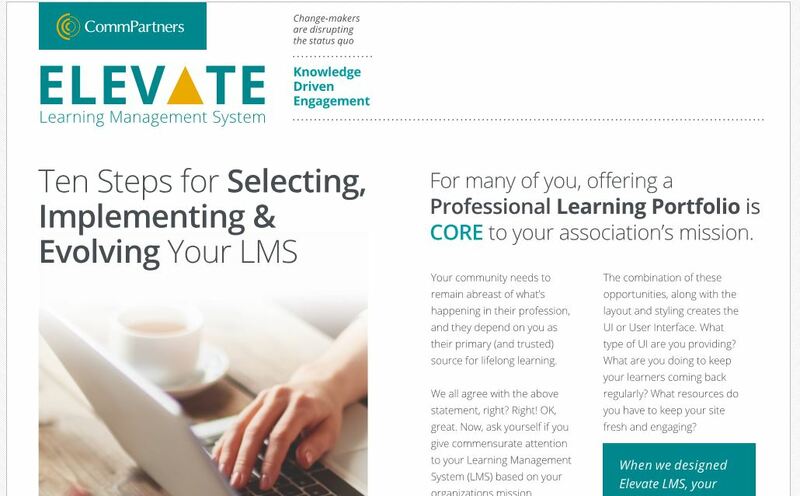 Once it has been determined that you are moving forward with implementing or changing LMS providers, determine who needs to be involved in the process and who simply needs to be aware. What departments will the LMS touch? Should each be represented on the Project Team? How so? Be upfront about the role that each member of the team will play and have an understanding of what the expectations are for each. This core group will be the driving force in ensuring a smooth and successful LMS implementation. Get the team excited and allow for open dialogue early on. Now that you have an All-Star Team in place, it’s time to start hosting generative brainstorming conversations. Your goal is to compile your team’s ultimate wish list of LMS features, options, and member/staff experiences. Be sure to define your goals up-front, with buy-in from all of the key players. What are your education objectives? Business requirements? Engagement goals? Just as important is to identify and plan how you will integrate, design, and layout your LMS. Having clearly defined goals and implementation plans outlined will ensure that things stay on track throughout your review of vendors. Social and informal learning are becoming key drivers for a dynamic learner experience and a diverse content strategy is critical. Discussions, shared interests and engagement opportunities enhance content choices and create space for collaboration and different views. It is important to identify your education strategy and content/context mix first – then begin to work through the technology requirements to bring your strategy to life. An LMS is a powerful solution to support and advance your education program, not define it. 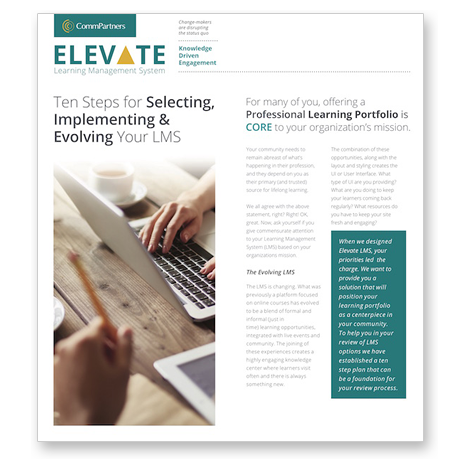 Interested in how to continue your journey through the LMS selection and implementation process?